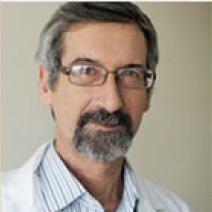 Aviv Magar - known throughout Israel and beyond experienced practitioner, cardiologist, head of the relevant department in one of the A leading centers of the country. After graduating from the Faculty of Aviation Medicine in the capital Aviv University Magar went to upgrade the skills training in nuclear cardiology. it involved in-depth study of risk factors for heart attack, is an honorary member of several professional societies, is teaching at a university in Tel Aviv. The special attention in its research and practice doctor dedicates the study of diseases such as myocardial infarction, inflammation of the heart bag, coronary artery disease. Studies in the field of risk factors for myocardial infarction, homocysteine, methylenetetrahydrofolate reductase (MTHFR). The senior cardiologist complex cardiac branches MC Rabin. Teacher Medical school. Sackler, Tel-Aviv University.